The computer is connected and has access to the Internet, but the Network icon in the taskbar shows the warning sign and says No Internet access . 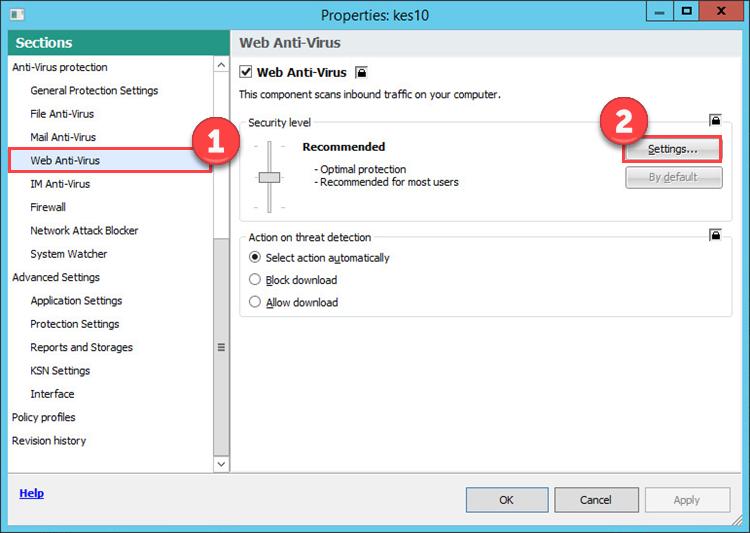 Kaspersky Endpoint Security 10 can block URLs that are used for checking Internet access. 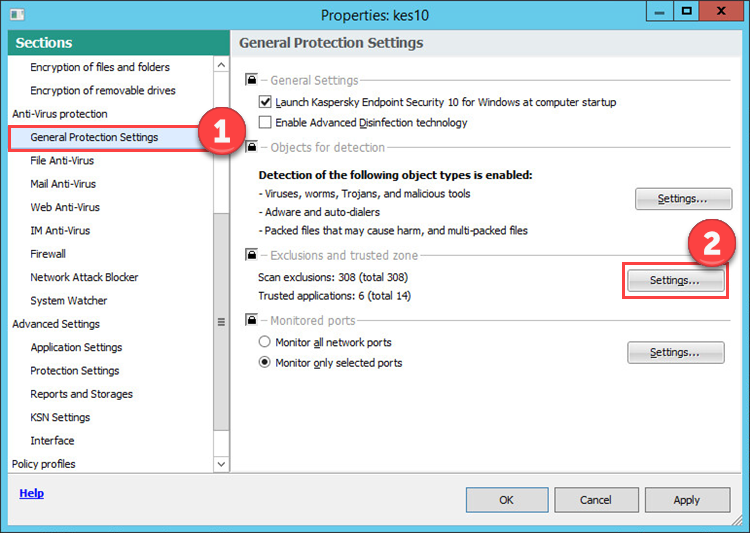 Go to Policies and open the properties for the Kaspersky Endpoint Security 10 for Windows policy. 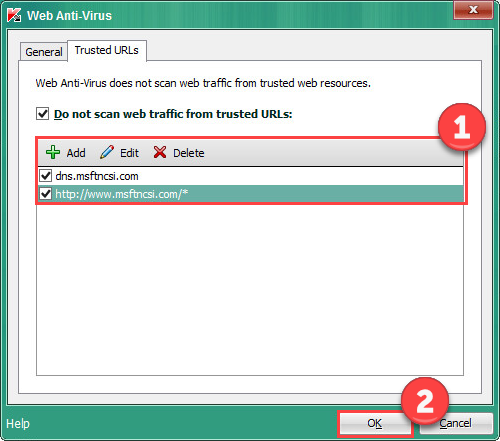 Go to Web Anti-Virus and click Settings. 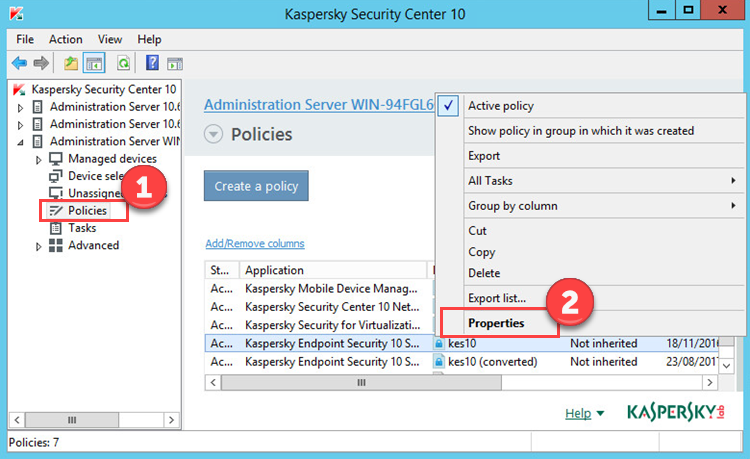 Go to Policies node and open the properties for the Kaspersky Endpoint Security 10 for Windows policy. Go to General Protection Settings. In the Exclusions and trusted zone section, click Settings. 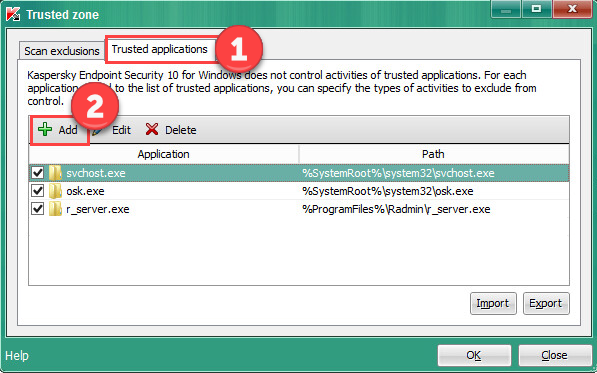 Open the Trusted applications tab and click Add. Exclude the file C:\Windows\System32\Svchost.exe from scanning. 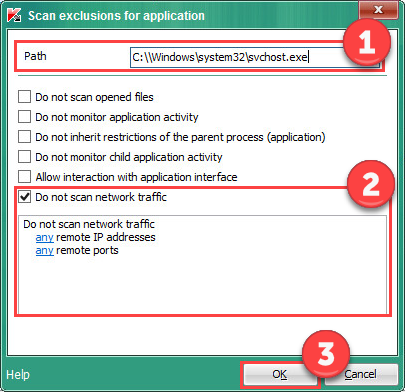 Select the checkbox Do not scan network traffic and specify port 80.